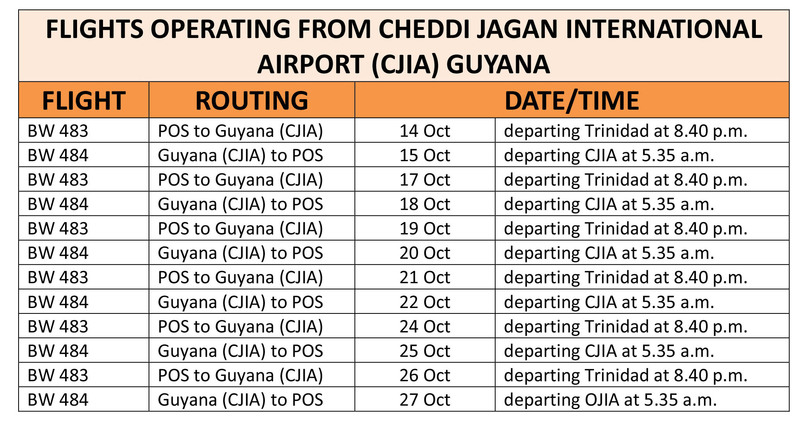 Caribbean Airlines says that due to construction works scheduled at the Cheddi Jagan International Airport (CJIA), Timehri, from 13 October to 03 November 2017, the flights BW 483 (POS/GEO) and BW 484 (GEO/POS) have been affected on specific days. 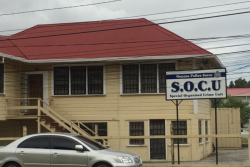 In a statement today, CAL said that to minimise disruption to its valued customers, on the days where flights cannot operate to/from CJIA, it will operate services from the Eugene F. Correia International Airport (OGL), Ogle to Piarco International Airport, Trinidad. 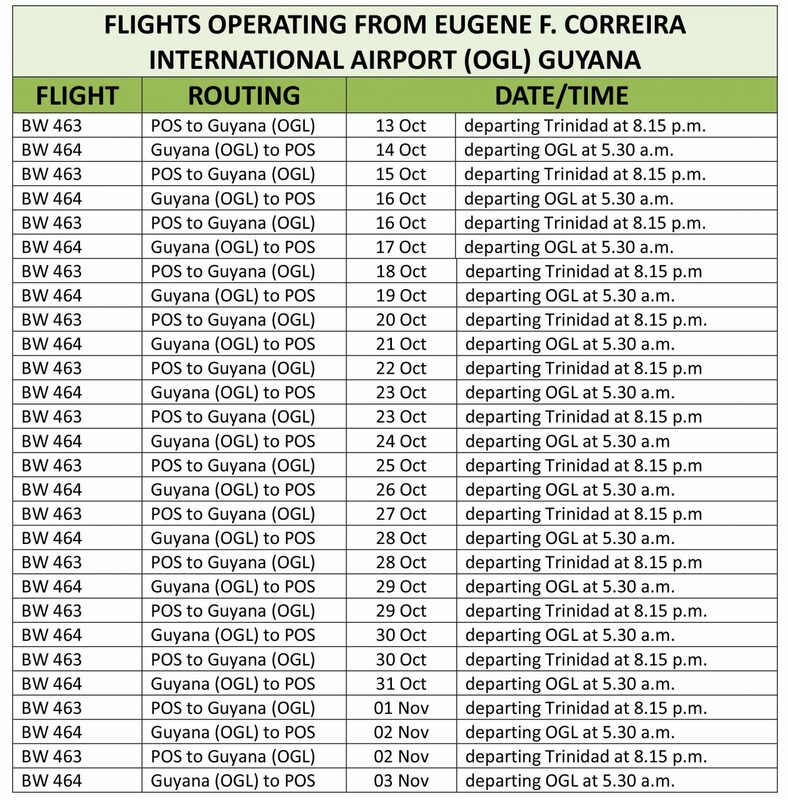 Caribbean Airlines flights out of OGL, will operate as BW 463 and BW 464, and are for passenger re-accommodation only. These flights will not be available for sale.